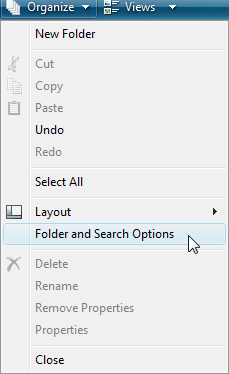 Click on 'Organize' > 'Folder and Search Options'. Click on the tab 'View' and then search the entry 'Hidden files and folders'. 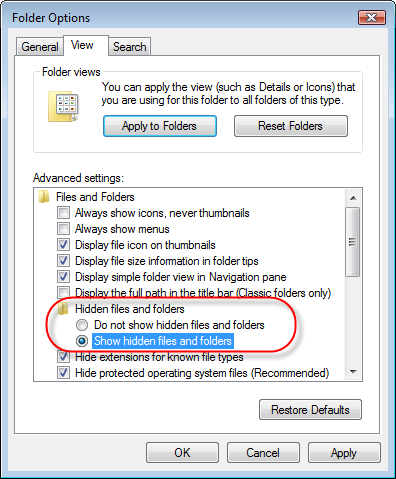 Choose the option 'Show hidden files and folders'. 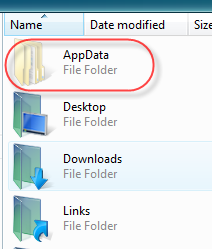 Open the folder 'AppData' > 'Local' > 'Microsoft'. 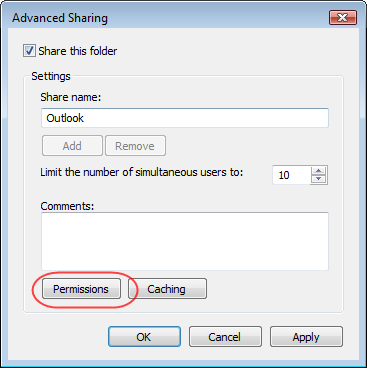 You need write access to open the Outlook pst file from another computer. 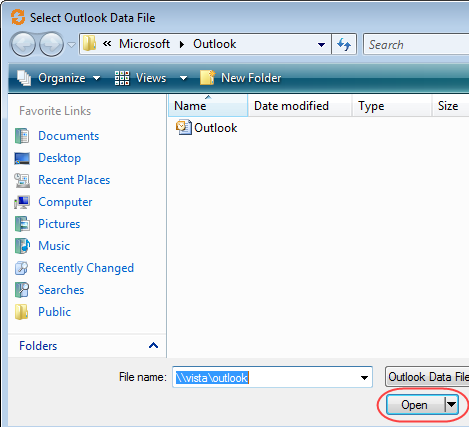 Click on OK three times to close all open forms. Click on a 'Search' button. A 'File open' dialogue will open. 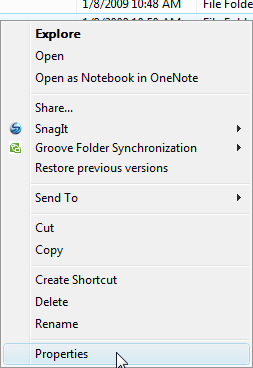 You can enter the path to the share on the other computer directly. 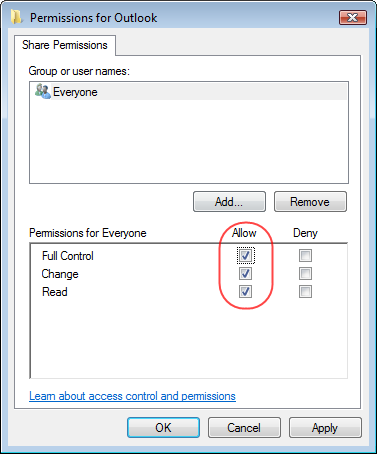 Click on the button 'Open' and all files of the share on the other computer are listed. 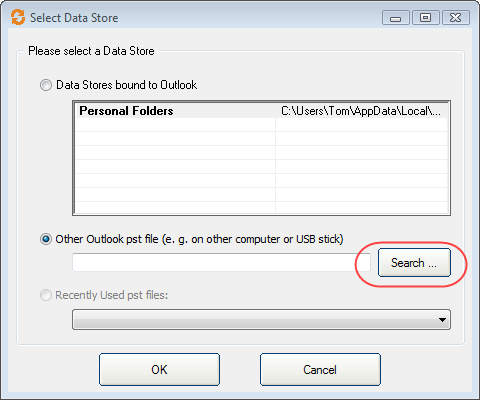 Select the pst file you want to synchronize with your local pst file. 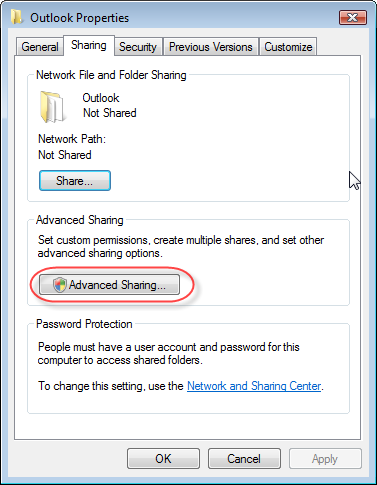 This tutorial should show you how to share a Folder in Windows Vista with the 'Advanced Sharing' functionality.